The need to re-pipe your business is a serious decision. While the initial cost can seem overwhelming, it also can save you a great deal of hassle and problem – and possible additional costs – down the line. 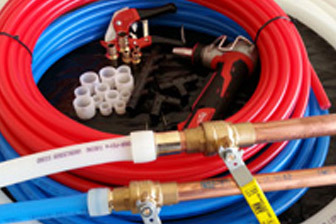 Located near Portland, OR, Beaverton Plumbing has qualified, licensed plumbing specialists to determine if re-piping in necessary for your business or dwelling. The problem is that repairing is often not as easy as you might imagine. If you have Galvanized pipe a repair entails far more than just replacing short sections of pipe as a temporary fix. You are likely going to need to consider doing a complete overhaul with Pex pipe to ensure quality piping throughout. How do you know if you need re-piping? As a building owner responsible for your tenants’ health, safety and comfort, it’s important not to wait until you actually start noticing leaks. Degenerating pipes display signs that you should watch for, such as odd-tasting tap water, decreased water pressure, and/or dark flakes appearing in your water. 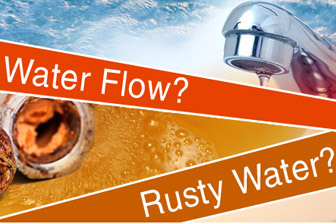 Corrosion can cause these signs and may reflect leaky pipes. If any tenant mentions one of these issues, take them seriously. If you are a commercial building owner unsure if your pipes are in need of repair or replacement, a simple flow test is a good way to determine your best course of action. Turn on multiple faucets all at the same time and check for any significant drop in water pressure. Depending on the size of your building, you may require assistance and Beaverton Plumbing can help with this and subsequent tests.